Rosemary thinks fairies are really dull. She’d much rather be a witch! After the heated arguments with her mum, Rosemary packs her bags and flies away to the dark witches’ wood. Contrary to her mum’s expectation, Rosemary throughly enjoys the life in the witches’ wood, building a treehouse and a boat, running through the wood on roller skates, and learning how to fly on a broomstick. She even convinces her mum that the being a witch is as good as being a fairy. Rosemary’s mum finally gives in and tells Rosemary that she can be a witch. But the delightful twist of this book is that Rosemary decides to take the best of both worlds and becomes a witchfairy. This message resonates with me, who was born and bred in Japan but found a second home in UK. The sense of identity is always central to my writing, particularly so in my first picture book, which will be published in 2020. 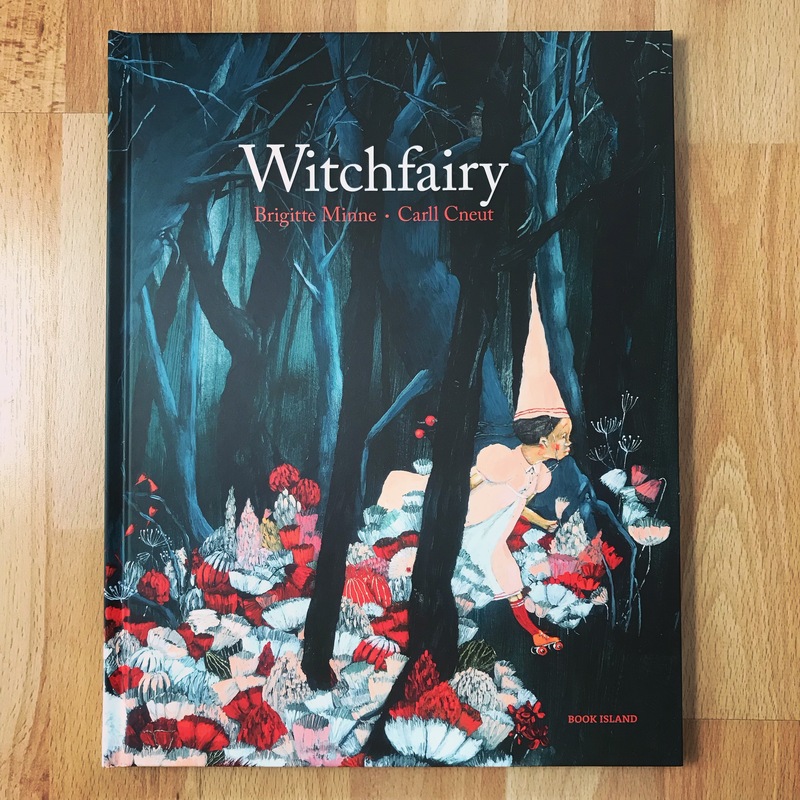 Belgian illustrator Carll Cneut’s stunning artwork is a perfect partner to the Brigitte Minne’s magical story. His artwork reminded me of Tomonori Taniguchi’s illustrations that are rather dark and rough, but filled with gentle sensitivity. The details, limited colour palette, and balance between light and dark are just stunning. You can watch his interview on this book here. This is a book full of fairies and witches, but the heart of it is a heartwarming relationship between a mother and daughter.